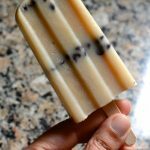 I love to cook, but I’ve never posted recipes before. I’ve really really thought about it, but I figure that as long as Pioneer Woman is blogging, you don’t really need my recipes. Today I’m making an exception since my mom’s been asking for this recipe for weeks. She’s coming to visit this weekend, an occasion I’m celebrating by making a big ole batch of salsa verde — and posting the recipe. I eventually convinced my friend Judy to give me her recipe, and this is it. She gave me very few instructions, which I scribbled down on a notepad. Plus, she didn’t use any numbers, which means no measurements, no quantities, etc. This is basically all you need to make salsa verde. First, peel the tomatillos. They have a husk that’s sticky but easy to remove. These don’t have to be perfect. Some of the husks are harder to remove, but they’ll come off in the next step. See this tomatillo? It has a little husk, but it’s fine. 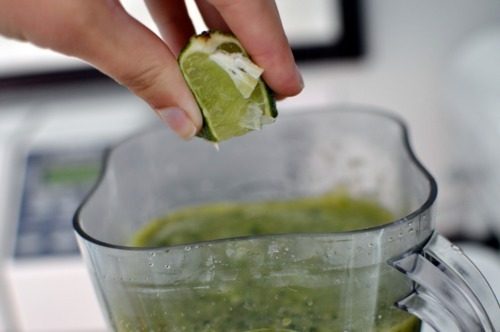 Next, rinse the jalapenos and tomatillos. If there’s remaining husk, most of it will just rinse off. Tom and I really love spicy food, so I use 4-5 jalapenos. This makes pretty spicy salsa. When Judy made it, her batch was so spicy I had to chase each chip with a dollop of sour cream. Meanwhile, her 8-year old son, Rafi almost fell asleep in his chips because the salsa was sooo bland. I asked Judy how she chooses jalapenos, since you never know which are spicy. She said she wasn’t sure, but you can’t go by size or smell. Her mom always told her the ones with white lines on the outside tend to be hotter. 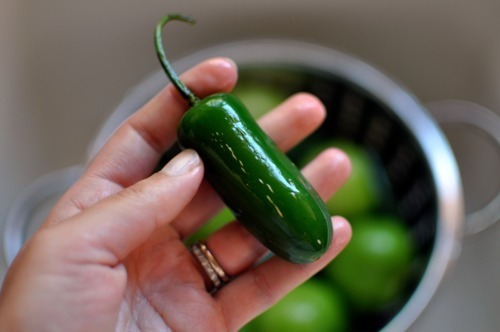 If anyone knows how to pick a hot jalapeno, it’s Rafi’s Mexican grandma. All my jalapenos look like this. I translate that to mean, bring to a boil. 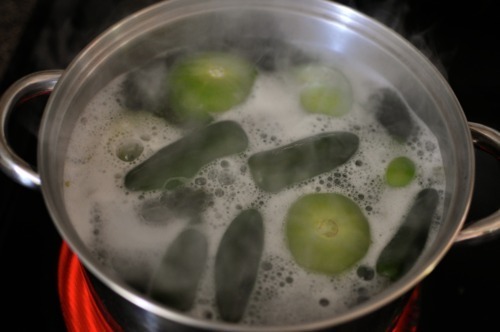 Boil for 5-6 minutes; the tomatillos will start to split and peel. Meanwhile, peel a few cloves of garlic. I love garlic, but I just use three cloves because you don’t cook the garlic, and I’m afraid of uncooked garlic. See the splitting and peeling? These tomatillos are done. 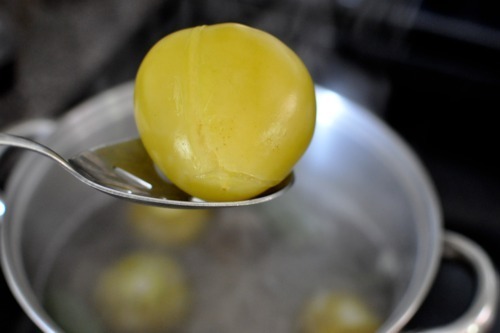 Once I forgot I was boiling tomatillos and they boiled for more than 10 minutes. They were all mushy and split everywhere, but I didn’t notice a difference in the final product. This recipe is e.a.s.y. I haven’t said that yet, but it is t.r.u.e. 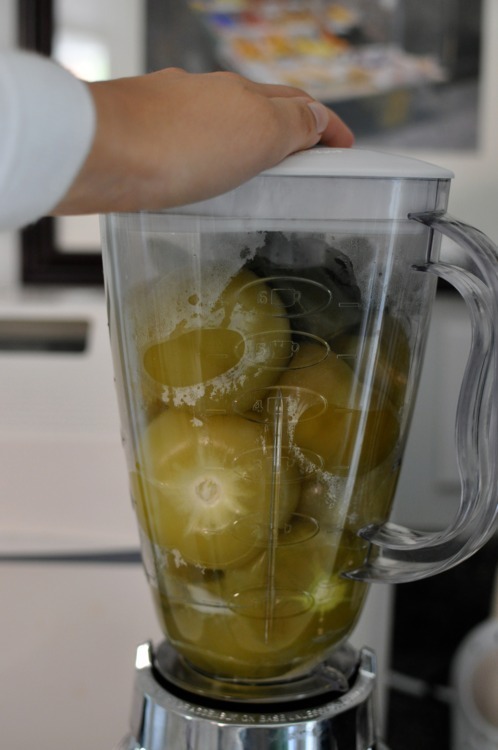 Lift the tomatillos and jalapenos out of the water and plop them in a blender. And now we come to the first part of the recipe I added without Judy’s instruction. 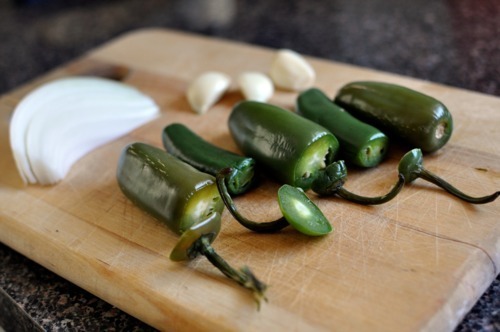 I slice off the jalapeno stems. Judy did not. I’m not sure my body is ready for that kind of fiber. 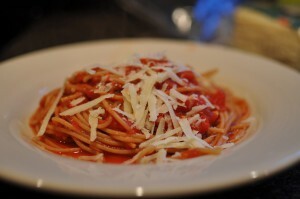 This photo shows the second part of the recipe I added. See that onion in the upper left? I add some onion because shouldn’t you put an onion in salsa? That’s what I thought, too. However, Judy is Mexican and I am not, and Judy did not add onion. That’s why I only add a little bit of onion. 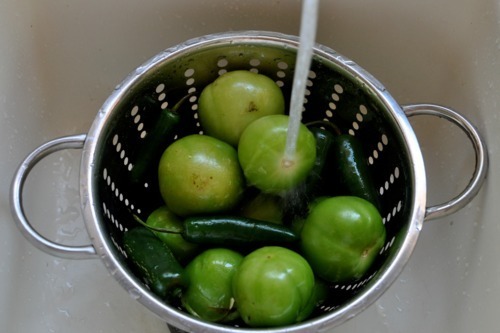 After removing the tomatillos and jalapenos, you’re left with a pot of spicy, flavorful water. Save it in case your salsa is too thick. I’ve never added the reserve water, but Judy did. 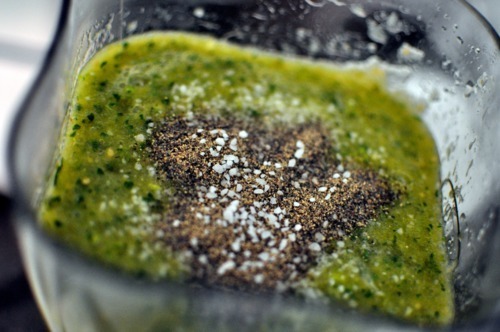 With the tomatillos and jalapenos in the blender, pulverize. Pulverization takes 30 seconds. Next, add the onion, garlic and bunch of cilantro. No need to chop anything, even the cilantro. Put it in stems and all (in fact, you should never remove the stems, most of the flavor is in the stems, not the leaves). Salsa actually requires very little chopping. If you are chopping, you are making pico de gallo. Add salt, pepper and lime to taste. I went a little loco with the pepper. You only really need to stir, so maybe just pulsing would be ok. Check the consistency, if you want it thinner, this is the time to add the reserve water. Or you can just pour it in a bowl and start the fiesta. 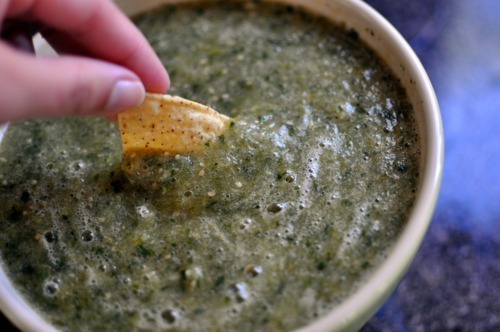 At first, the salsa is warm and a little frothy, like this. 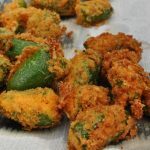 Well, the next step is to find out just how hot your jalapenos are. 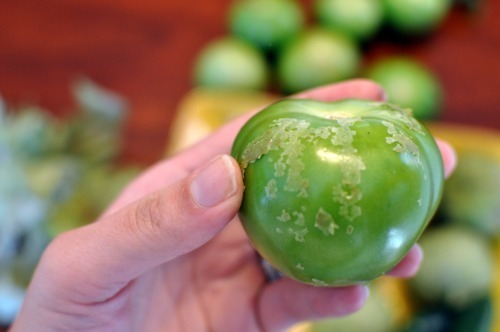 Put peeled, rinsed tomatillos in a pot with jalapenos and cover with water. 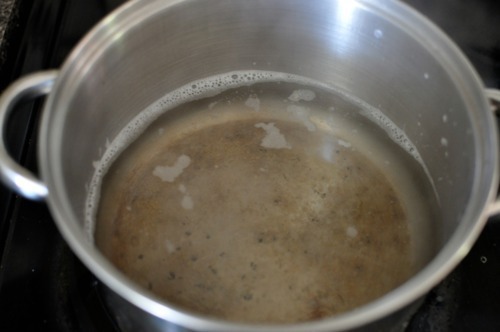 Bring to boil and boil 5-6 minutes. 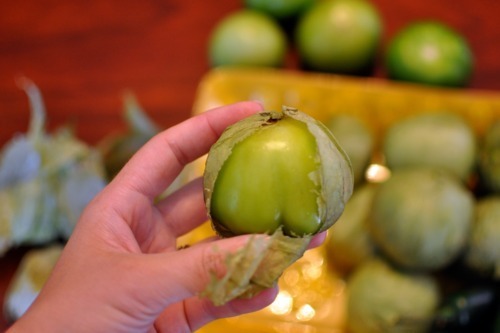 Tomatillos will start to peel and split. 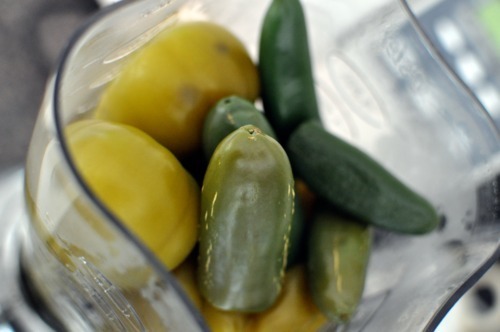 After boiling, slice caps off jalapenos and place in blender along with tomatillos. Blend on high for 30 seconds. Add cilantro, including stems, peeled garlic, and onion. Blend 30 more seconds. This looks awesome! Great pictures, too! A good homesteader would eat the stems. Remember the buffalo…. I love making Salsa Verde Chicken Enchiladas, and your recipe looks fantastic! Thank you for sharing at #OMHGWW! Looking forward to seeing you next week! This is a beautiful recipe! 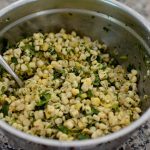 You did a great job and should definitely share more 🙂 My absolutely favorite salsa recipe is almost exactly like this… but you throw in an avocado or two in the blender with it. Super creamy delicious salsa. I’m going to have to give yours a try to, I have lots of tomatillos and jalapeños getting ripe in the garden! I love salsa verde, I learned something here though, I have never cooked the tomatillos or the jalapenos, not even for 5-6 minutes. I bet that would make it even better. Thanks! PS I add a bit of onion too! 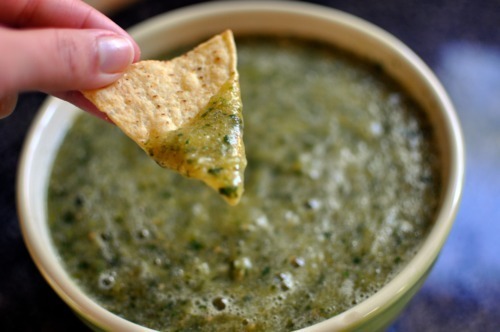 Mmmm, now you’ve gone and made me hungry and salsa verde is my favorite. 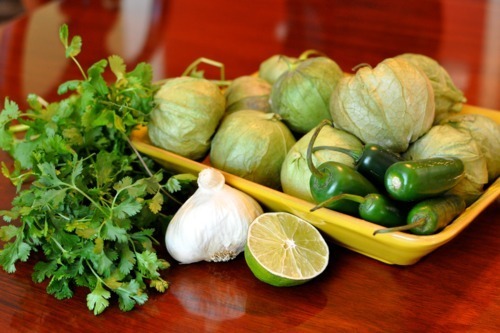 I just love tomatillos. 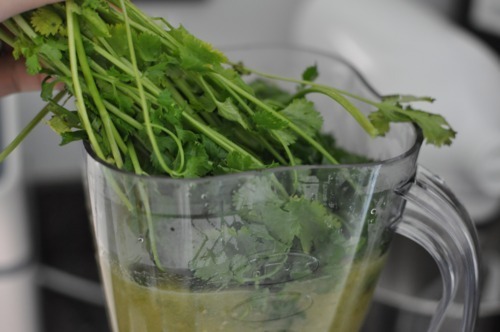 I just made a salsa verde last week on our blog. You just can’t go wrong with these wonderful ingredients. Love your photos showing the whole process. 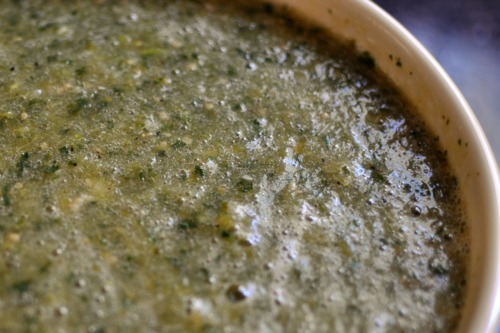 I have a huge bunch in the fridge right now, ready to be made into some yummy salsa verde! I’m going to try out your recipe as well…looks yummy!